Cons Against Our Sanity - Back and More Animated Than Ever On Kickstarter! Kronotiq Media is back on Kickstarter with an all-new campaign, featuring an all-too-familiar project! It was only a little over a year ago that we created and successfully funded Cons Against Our Sanity, the hit card game dedicated to convention culture. What was initially conceived as a simple card game quickly gained a life of its own, both through its real-life supporters and through the multiple comics and shorts it influenced. 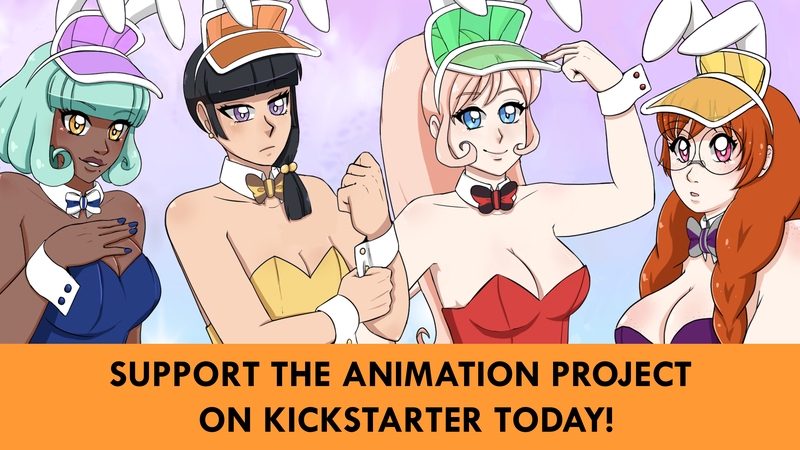 With 30 days on the campaign clock and a goal of $6,850, we're looking to continue the stories of the CAOS gang through a new animated web series, with (at least) 3 episodes of all-new content. It's a goal we are pretty confident we can achieve - and the main reason we can say that is because of the fans who made sure Cons Against Our Sanity could exist in the first place. We've already been working hard on developing this series - we just need people like you to provide the extra financial and morale boosts. So without further ado, come support us by visiting kronotiq.com/kickstarter for full details on the project. If you like what you see, please donate (rewards await, of course!) and/or share with people you know who would be interested in lending a hand! You can keep track of the project's development through the official Cons Against Our Sanity Facebook and Instagram. There is also a widget below that is tracking the funding progress. However you choose to do so - stay tuned!